A circus tent, which was not shrink-resistant, was thrown in the boiling-hot laundry. The result is a circus tent size 3m by 4m and 3m high. The audience, as well as the artists, have shrunk. Gabriële and Giancarlo did NOT and perform six humorous acts: a tight-rope walker, magician, trapeze, human cannonball, Russian pyramid and a lion tamer! 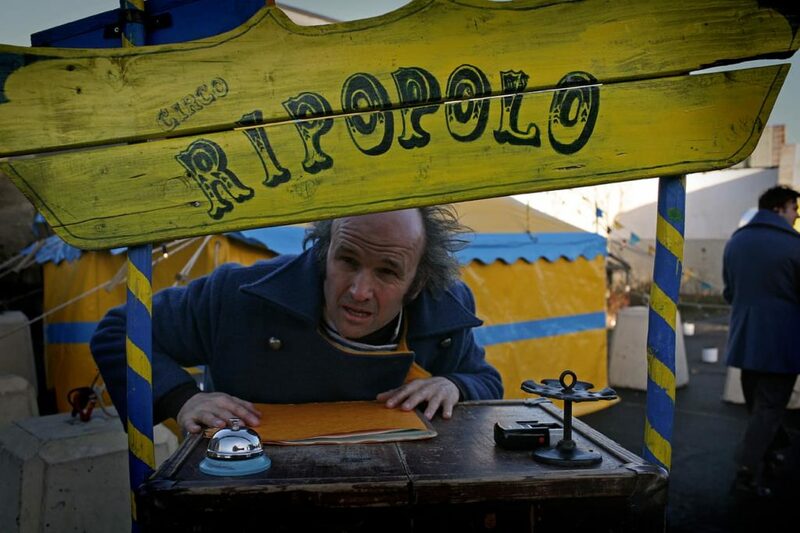 Circo Ripopolo have travelled throughout Europe with their non-verbal performances since 2003.